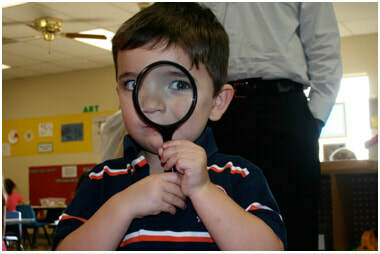 ​Our foundation seeks out and supports the most progressive partnerships and research programs that we believe will lead to a day when families no longer have to hear the devastating words: “no known cause or cure.” Since 2011, Team Julian has committed more than $350,000 to the following programs. ​The Pediatric Cancer Genome Project is an unprecedented effort by St. Jude Children’s Research Hospital and Washington University to identify the genetic changes that give rise to some of the world’s deadliest childhood cancer and decode the genomes of more than 600 childhood cancer patients. 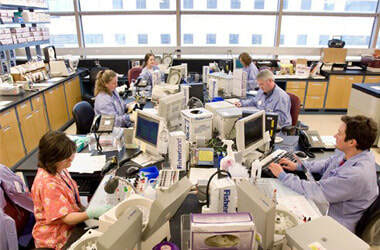 The PCGP is the largest investment to date aimed at understanding the genetic origins of childhood cancers. In December 2011, Team Julian committed $36,000 to the DIPG study in which researchers found that a startling 78 percent of these brainstem tumors carried changes in two genes not previously linked to cancer. ​At the same time that Team Julian funded the genome project to better understand “why” gliomas begin, the foundation then contributed $25,000 via CureSearch to the DIPG Preclinical Consortium led by Dr. Charles Keller at Oregon Health & Science University to get a better grasp on “how” to more effectively combat the deadly tumor. The ultimate goal of the DIPG Consortium was to move the most effective single agent or combination therapy forward to early phase clinical trials in 18-24 months. This is the first time that a group of basic and translational scientists and physicians from eight institutions throughout North America and Europe had come together as a consortium to focus on DIPGs and to focus on a bench-to-bedside approach to rationally target therapy for children with DIPGs. Team Julian awarded an additional grant of $8,800 to add a new cell line to the study from one of Julian’s dear friends so generously donated by her family at autopsy. 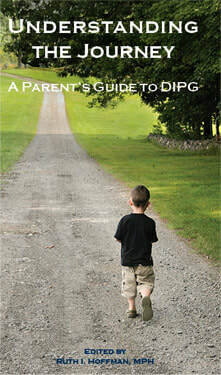 ​In 2012, Julian’s mother, Nettie Boivin, contributed personal accounts of Julian’s battle with DIPG to the “parent perspectives” sections of the American Childhood Cancer Organization’s (ACCO) book, Understanding the Journey: A Parent’s Guide to DIPG. Team Julian dedicated $5,000 to cover ACCO’s distribution costs to deliver the resource to new patients, families and medical staff facing the daunting diagnosis of DIPG. ​Proceeds from the 2nd Annual Brave Knight benefit were dedicated to the Neuro Oncology Division at St. Jude Children’s Research Hospital to support the High Throughput Screening (HTS) effort to identify novel drugs to effectively treat high grade gliomas and pontine gliomas being done in collaboration with Dr Anang Shelat and Dr. Amar Gajjar. ​Our mission to seek out and support the most progressive partnerships and research dedicated to finding cures for DIPGs found a key complement when we joined the DIPG Collaborative in 2012. Courage for Cures is now one of more than 15 foundations making up the DIPG Collaborative whose collective mission is to allow for the cooperative funding of DIPG related research between foundations, regardless of individual missions, in such a way as to eliminate duplication, increase efficiency of monies and foster institutional collaboration, transparency and innovation. 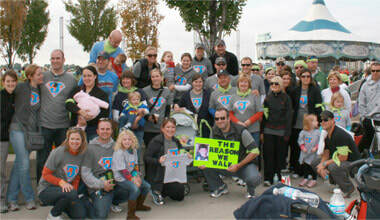 Learn more about the DIPG Collaborative here. ​Courage for Cures is proud to make an annual contribution to support patient programs specifically in St. Jude's Division of Neuro-oncology, also known to patients and their families as the E Clinic. Copyright © 2018 Team Julian Foundation. All rights reserved.